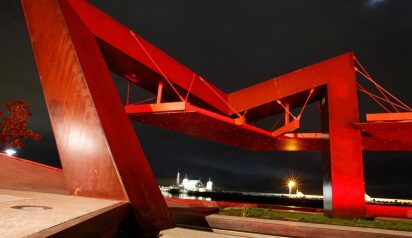 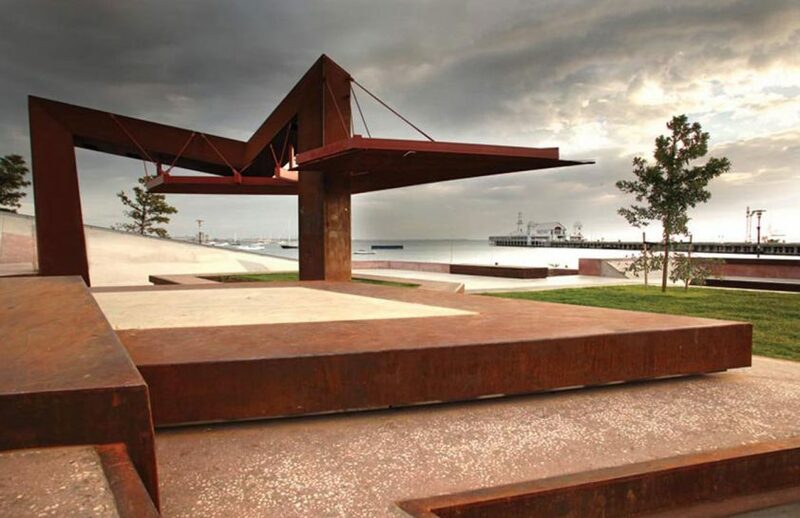 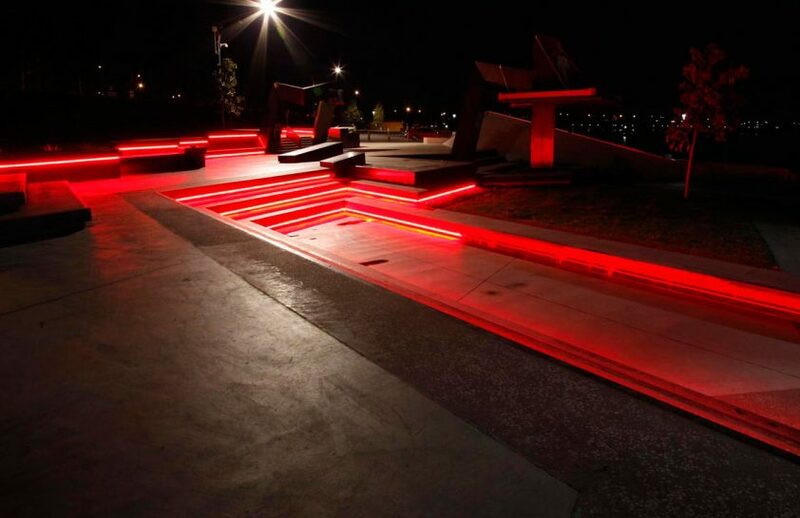 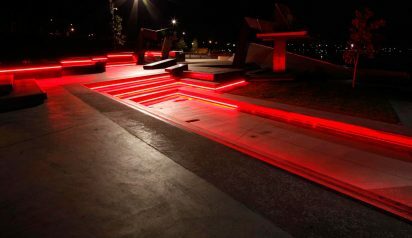 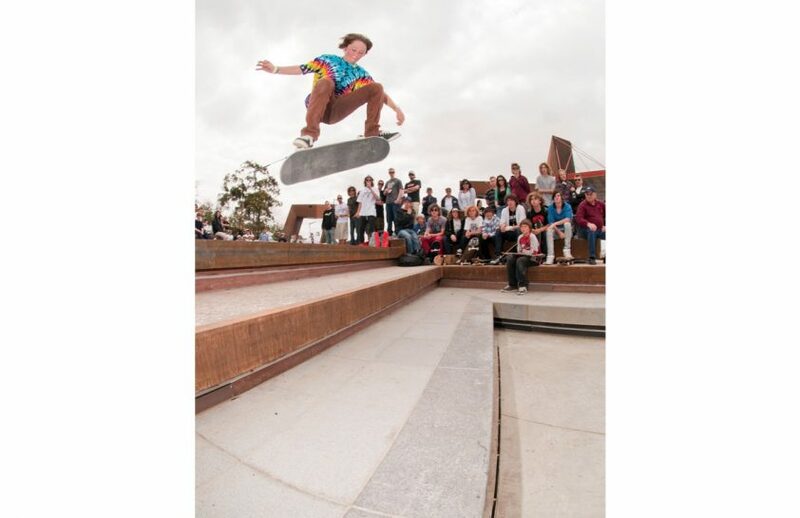 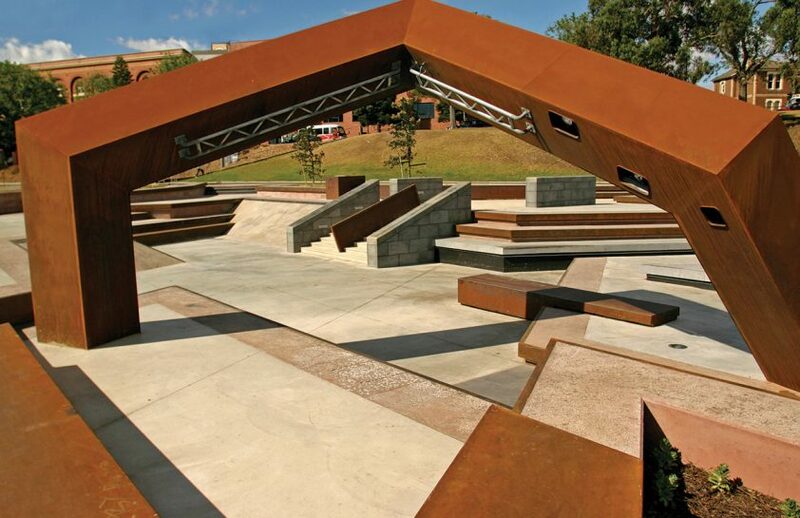 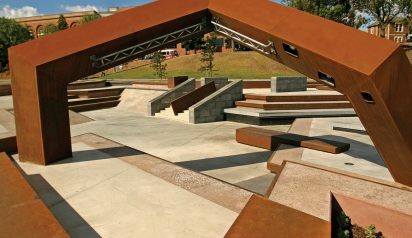 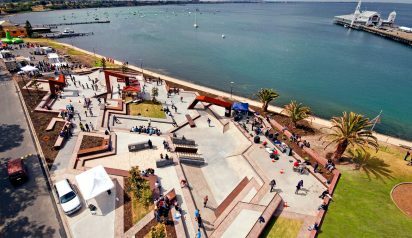 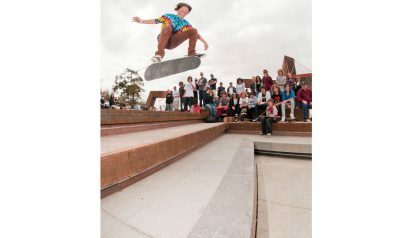 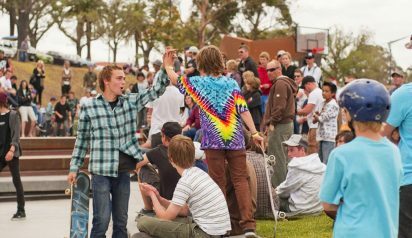 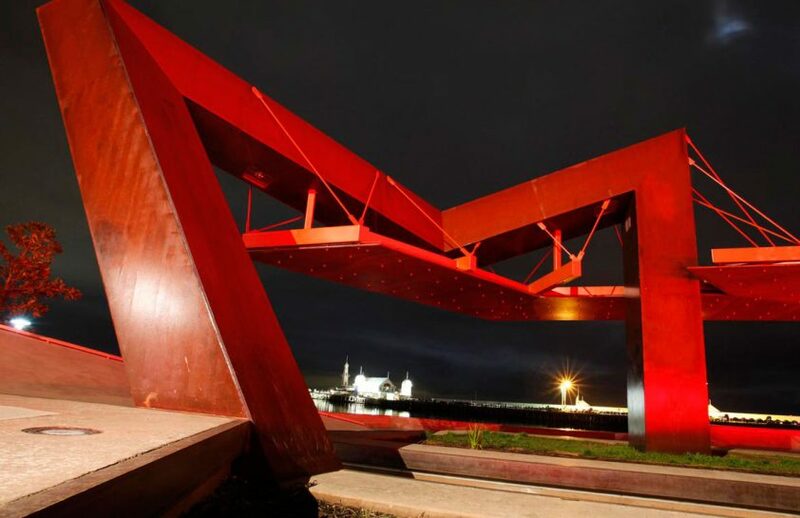 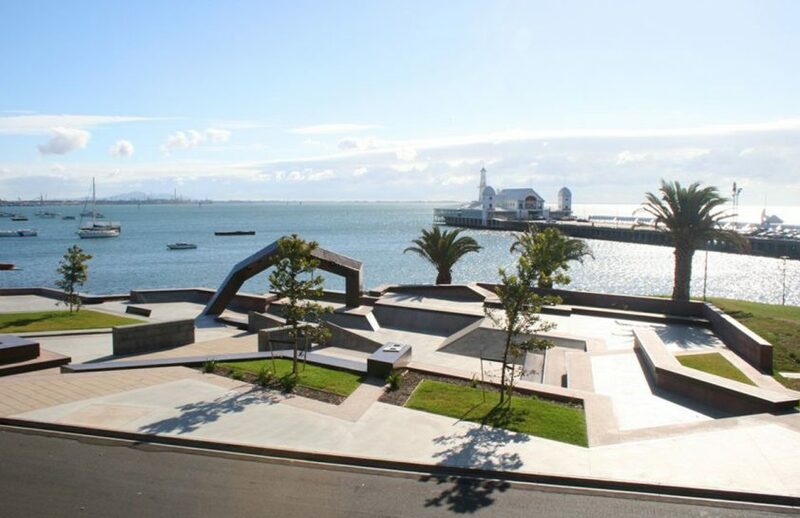 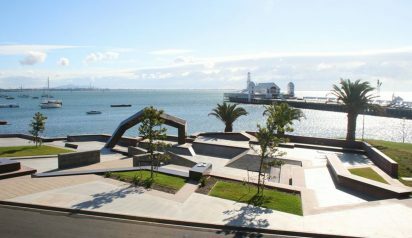 A multipurpose intergenerational recreation plaza, the Geelong Youth Activities Area (GYAA) was designed as a cascading terrace creating an amphitheatre around a central performance stage and large LCD screen. 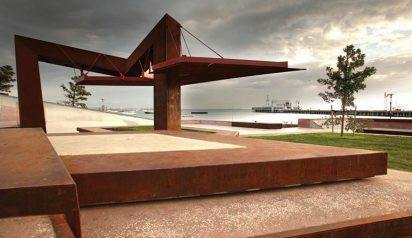 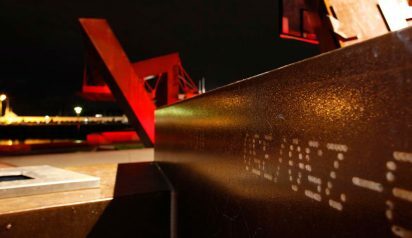 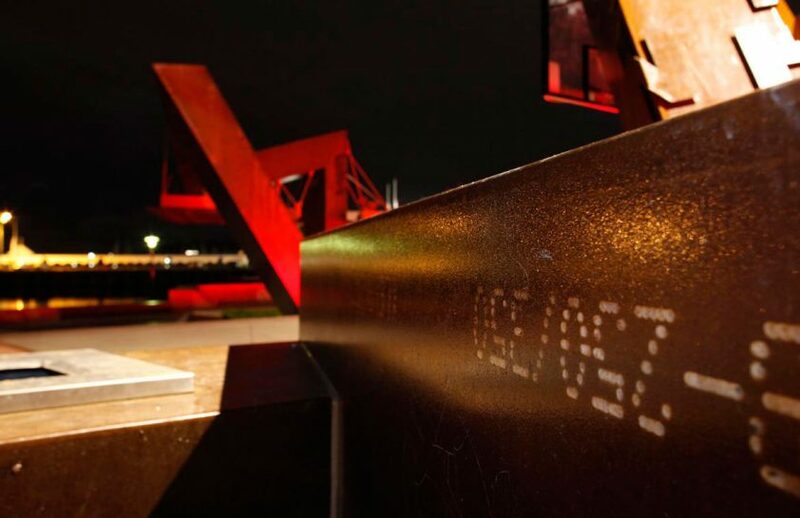 Simple steel frames act as shelter, signage and art displays, whilst also housing media projectors. 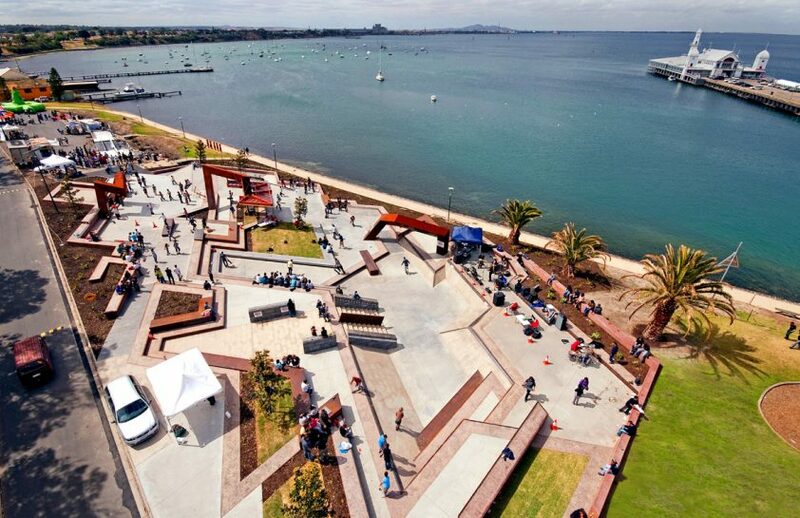 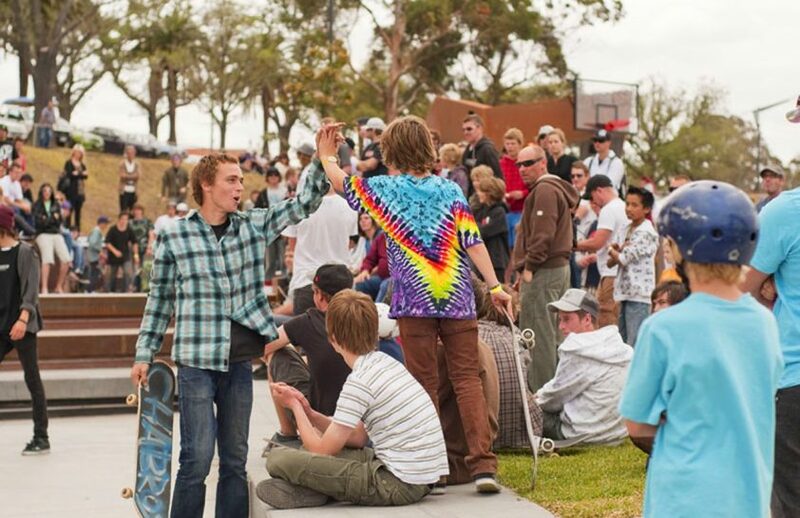 The terraces are surrounded with seating and shelter for socialising and informal viewing of street and plaza skating, half court basketball and bouldering wall.